Inflation across the UK fell to its lowest level in four-and-a-half years in May, but house prices surged in the previous month. This is according to data published by the Office for National Statistics (ONS), which casts some doubt over the intentions of Bank of England (BoE) policymakers with regard to interest rates. Consumer Price Index (CPI) inflation declined to 1.5% last month, its lowest level since October 2009. This comes as food prices recorded their first year-on-year drop since 2006. The headline reading represented a significant fall from the 1.8% increase registered in April and confounded expectations for a smaller reduction to 1.7%. However, separate data from the ONS showed house prices climbed by 9.9% in April, the strongest annual gain since June 2010, sparking renewed fears a property market bubble may be developing. The BoE's Financial Policy Committee is set to meet today and is widely expected to announce a series of moves designed to curb risks to the country's financial responsibility resulting from rapidly-rising house prices and high levels of debt. 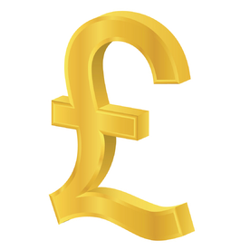 Following the release of the data, the pound weakened against both the dollar and euro in forex trading markets. During the UK's economic recovery, weak inflation rates have allowed the BoE to keep interest rates at the record-low level of 0.5% for an extended period. However, Governor Mark Carney indicated at last week's Mansion House event that a hike in borrowing costs may be forthcoming before the end of the year. This came as a surprise to analysts and investors, as officials from the Bank had previously indicated their projections were in line with market estimates for an increase in the second quarter of 2015.